a.-During 1954, 1.27 (812.8 acres) sq.miles of the area was included in municipsality with 5 nos of wards. 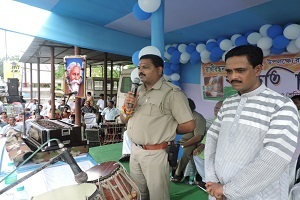 Those wards include – Bhagwanpur, Kharida, Nimgoria, Patna, Bhawanipur, part of Sri Krishns pur and Debalpur, Panchberia, Inda, Sanjoal, Kausalya, Bulbul Chatty, Gaikata, Taljali, Sonamukhi etc.This areas developed just outside the Railway area encircling it. People depandant on railway activities,facilities and service settled in this areas – lead to unplanned and unorganized growth. 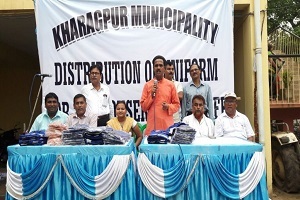 b.- During 190 municipal area increased with 6 nos of wards.The new inclusion are Kharagpur,Khasjangle and Arambati. c.-During 1968 Talbagicha was included in municipal areas,and the total area was devided into 20 wards. d.- In the year 1974 the I.I.T. 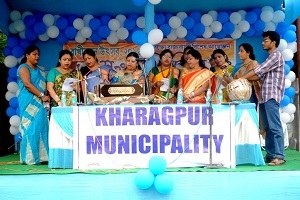 was included in municipal areas.Thus it increased to 30 nos of wards.